The Centers for Medicare & Medicaid Services (CMS) today announced proposed changes to the Medicare home health prospective payment system (HH PPS) for calendar year (CY) 2014 that would foster greater efficiency, flexibility, payment accuracy, and improved quality. Based on the most recent data available, CMS estimates that approximately 3.5 million beneficiaries received home health services from nearly 12,000 home health agencies, costing Medicare approximately $18.2 billion in 2012. In the rule, CMS projects that Medicare payments to home health agencies in calendar year (CY) 2014 will be reduced by 1.5 percent, or $290 million based on the proposed policies. The proposed decrease reflects the effects of the 2.4 percent home health payment update percentage ($460 million increase), the rebasing adjustments to the national, standardized 60-day episode payment rate, the national per-visit payment rates, and the non-routine medical supplies (NRS) conversion factor ($650 million decrease), and the effects of ICD-9-CM coding adjustments ($100 million decrease). Congressman Ted Poe (R-Texas) railed against the level of specificity in ICD-10 on the House floor Wednesday, including its nine different codes reflecting injury inflicted by a turkey and three ways to be injured by a lamppost. Poe argued that the new system is excessive. It expands the 18,000 codes in ICD-9 for various injuries and diseases to more than 140,000 codes. 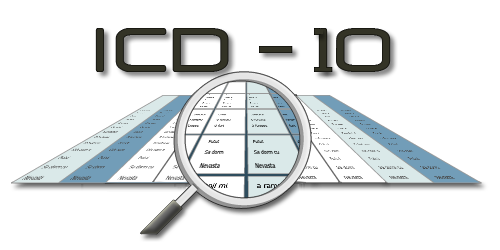 Why & When Should I Care About ICD-9 vs. ICD-10 Coding? Posted in Medicare, Member Services & Publications, Provider Updates | Comments Off on Why & When Should I Care About ICD-9 vs. ICD-10 Coding? 2012 Conference Preview: On a Clear Day I Can See ICD-10 . . . Or Can I? Join Sparkle at conference for “Prep for ICD-10-CM for Home Health Agencies” on July 26. She will also co-present Blueprint for OASIS-C Accuracy on July 22-23. Click here to check out the session summary in the conference brochure! Posted in 2012 Conference, Member Services & Publications | Comments Off on 2012 Conference Preview: On a Clear Day I Can See ICD-10 . . . Or Can I? With last week’s announcement by HHS Secretary Kathleen Sebelius that ICD-10 compliance will be delayed, providers are more confused than ever about what they should be doing to support ICD coding accuracy. While the government sorts this out we’d like to offer some prospective to our many home health clients and friends.OASIS Answers offers coding training for both ICD-9 and ICD-10 and will continue doing so until the government makes some definitive decisions regarding the implementation of ICD-10. ICD-10 is still coming. Secretary Sebelius said that “HHS will initiate a process to postpone the compliance date by which certain health entities have to comply with ICD-10.” The take home message is that ICD-10 is still coming. Posted in Provider Updates | Comments Off on ICD-10 Delayed? Now What?